'Jedi' helmet, used with Cryogenic Magnetic Resonance Imaging Machine. To take MRI (Magnetic Resonance Imaging) scans of the brain, these helmets were worn by children and adults. 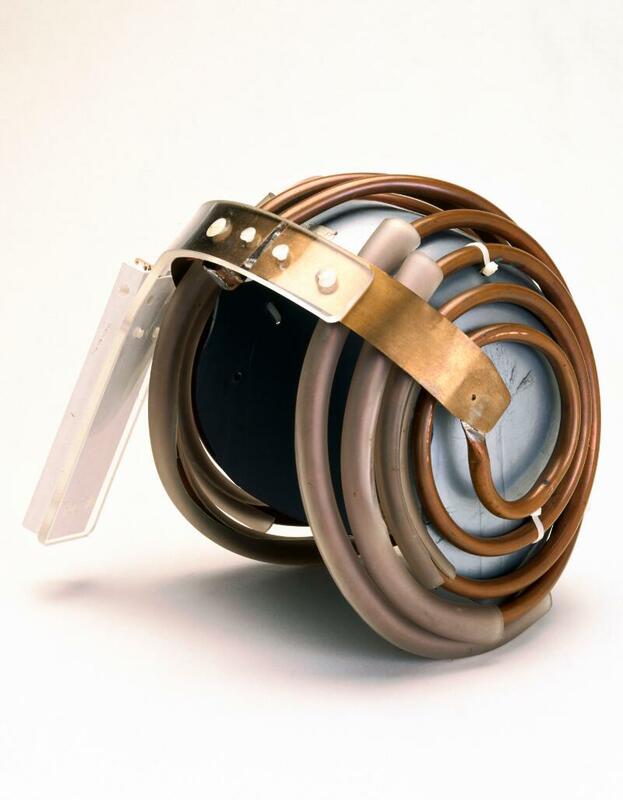 The coils are aerials for picking up MRI signals. Naming them after the Jedi knights in Star Wars films encouraged children to put them on and not to be frightened. MRI builds up a picture of the human body by using high frequency radio waves known as NMR (Nuclear Magnetic Resonance). MRI does not expose the body to radiation or invasive surgery and it can image soft tissues more effectively than X-ray-based methods. Credit: Science Museum, London.